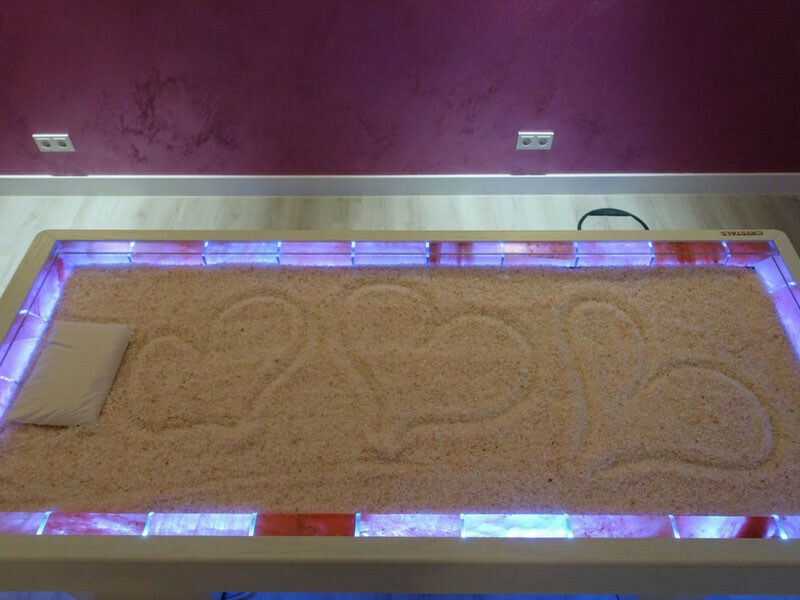 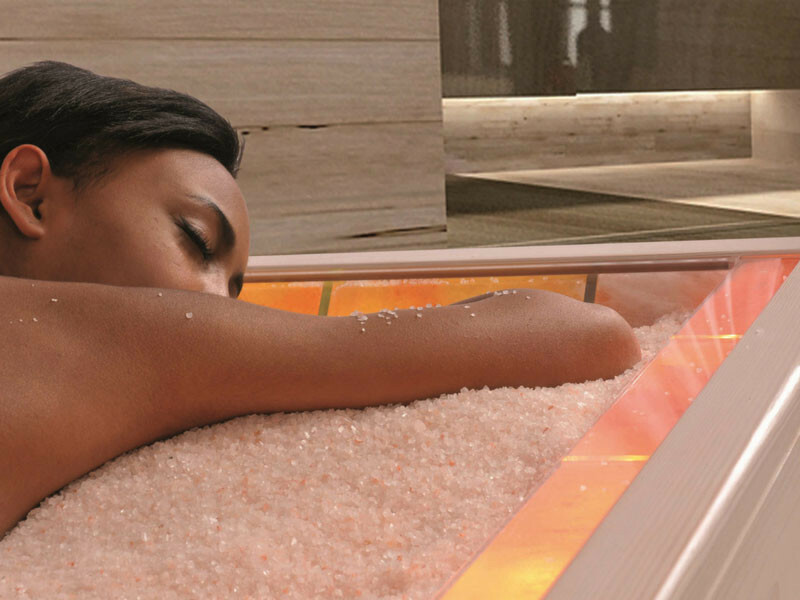 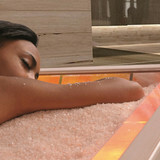 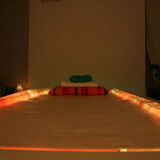 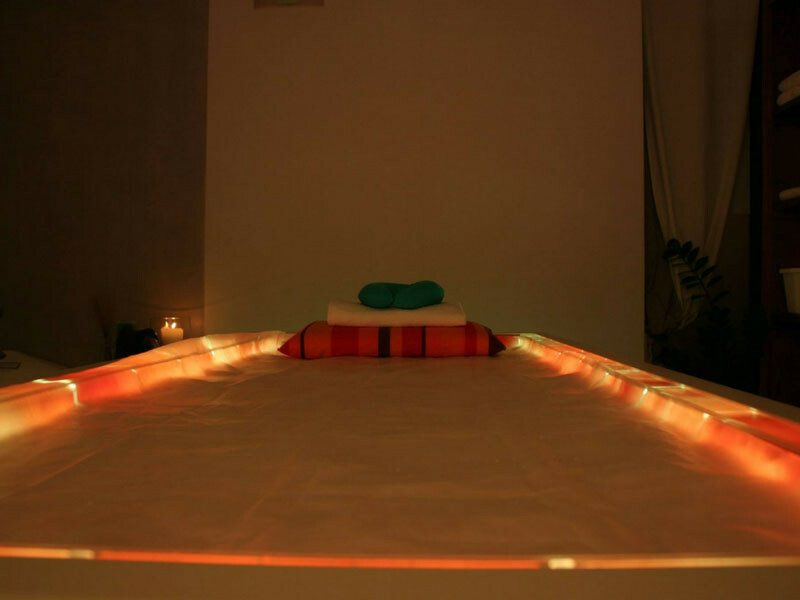 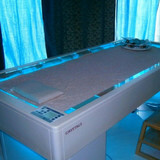 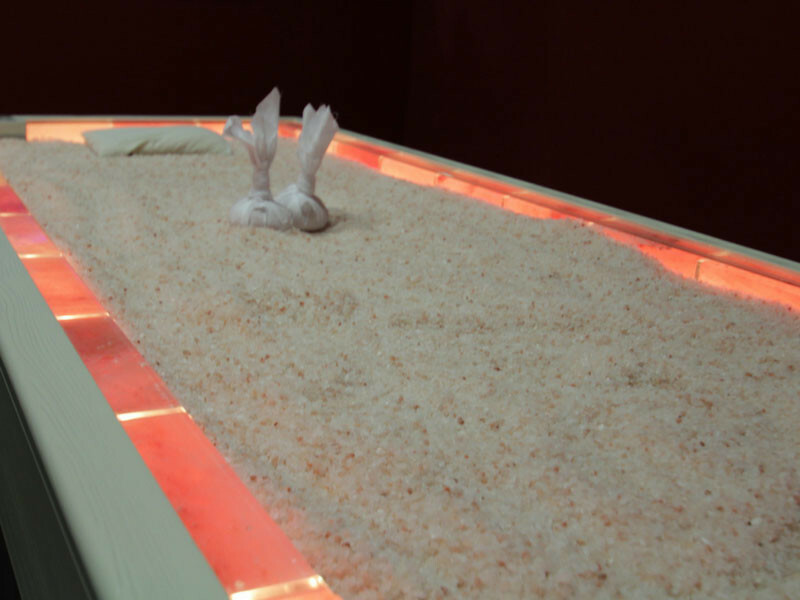 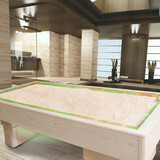 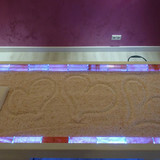 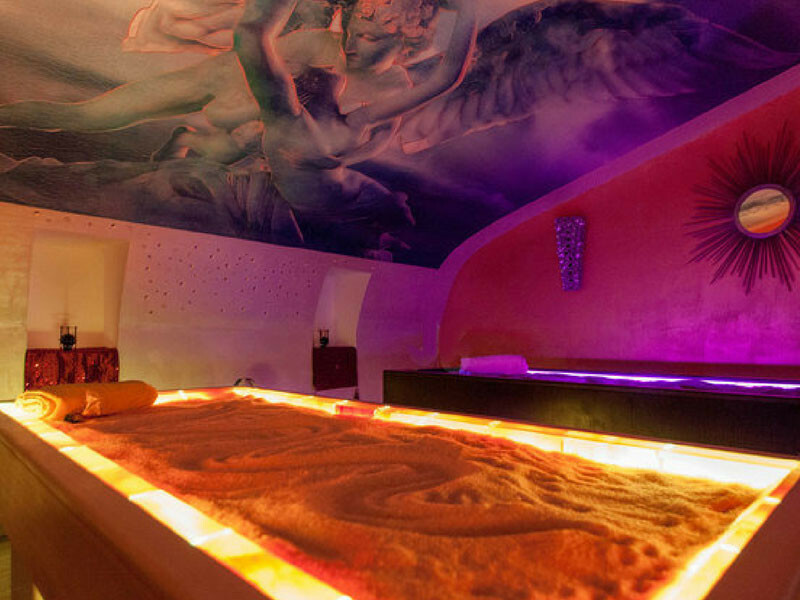 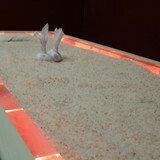 Crystals is the first wellness bed created so that the customers lie down on Himalayan salt crystals. 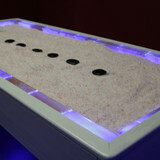 Totally unique, it offers a fantastic sensation of relaxation and guarantees all the benefits of halotherapy. 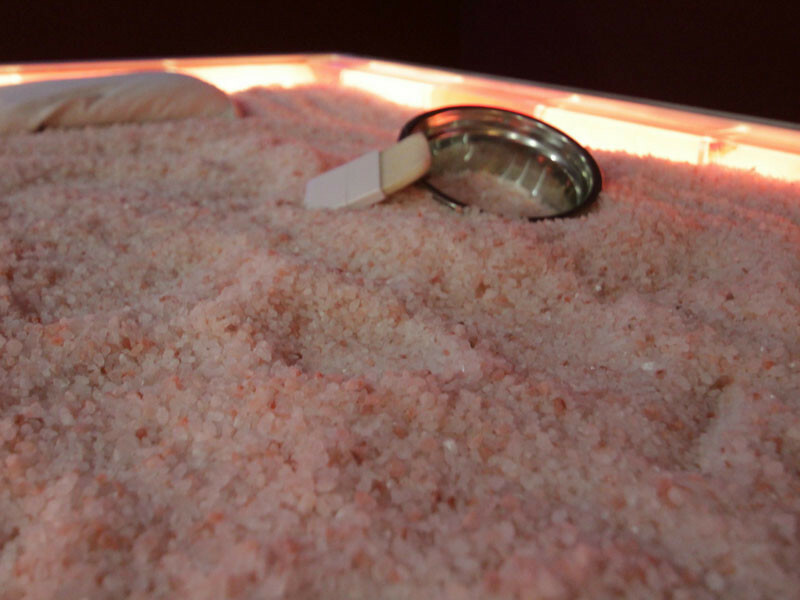 Himalayan salt, which is totally natural, free from additives and pollutants, is rich in natural substances, has extremely high bioenergetic values and contains all the minerals and trace elements the human body needs. 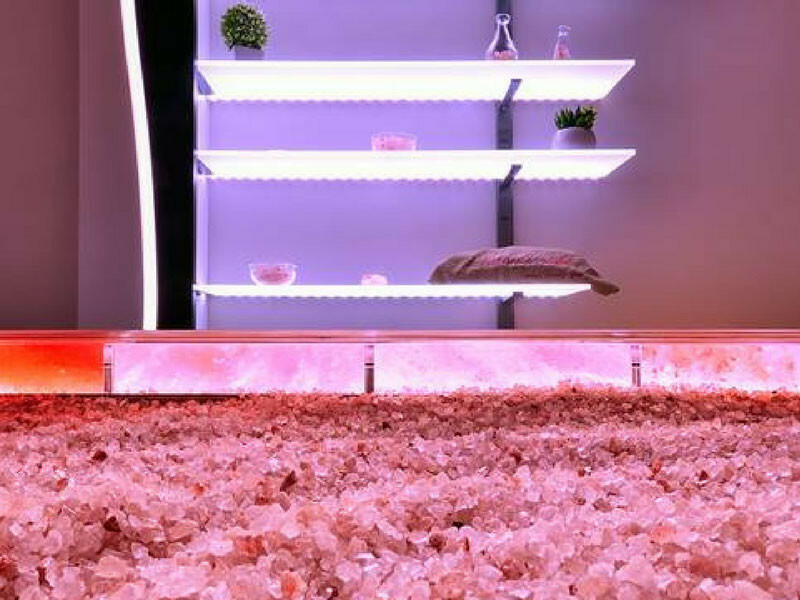 Crystals reproduces the sea environment conditions: in fact, it contains 150 kg of salt that can be heated to a temperature of between 32°C and 40°C, depending on the method and programme to be used. 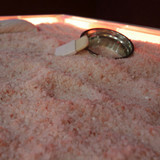 Under the steel tub that contains the salt, there is a perfect safety and efficient coating system. 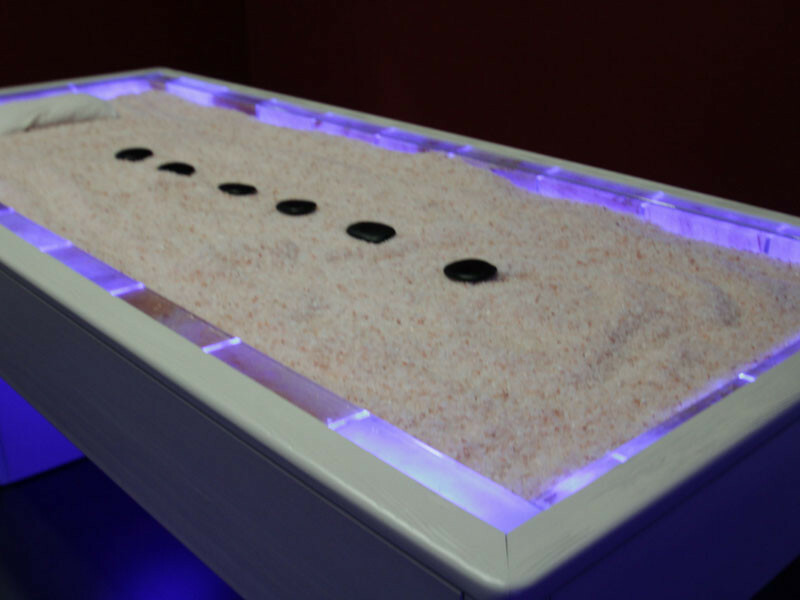 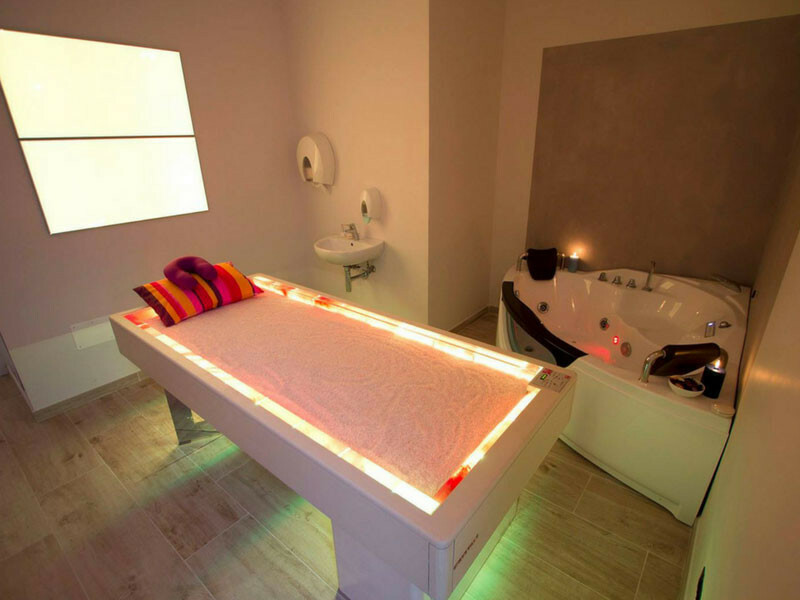 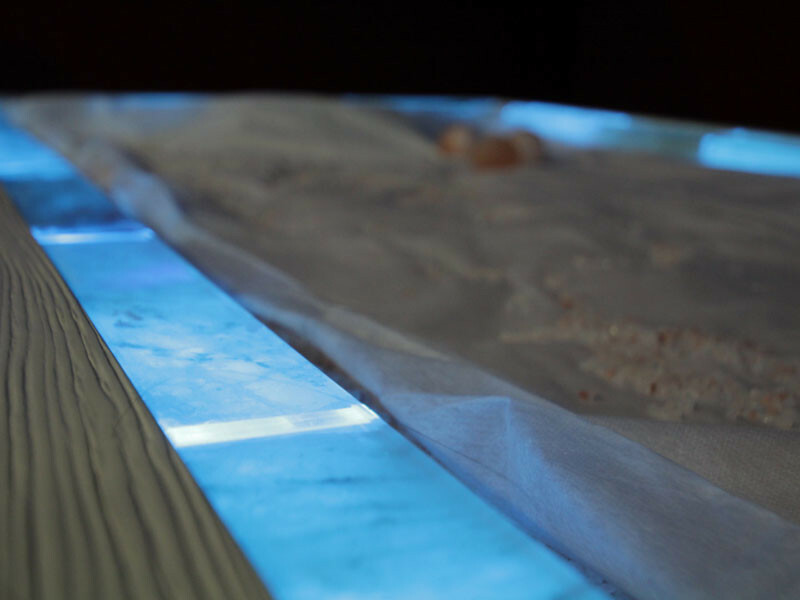 The tub is surrounded by 30 bricks of salt that rest on a system of high-intensity LED lighting system so that chromotherapy can be used in conjunction with halotherapy. 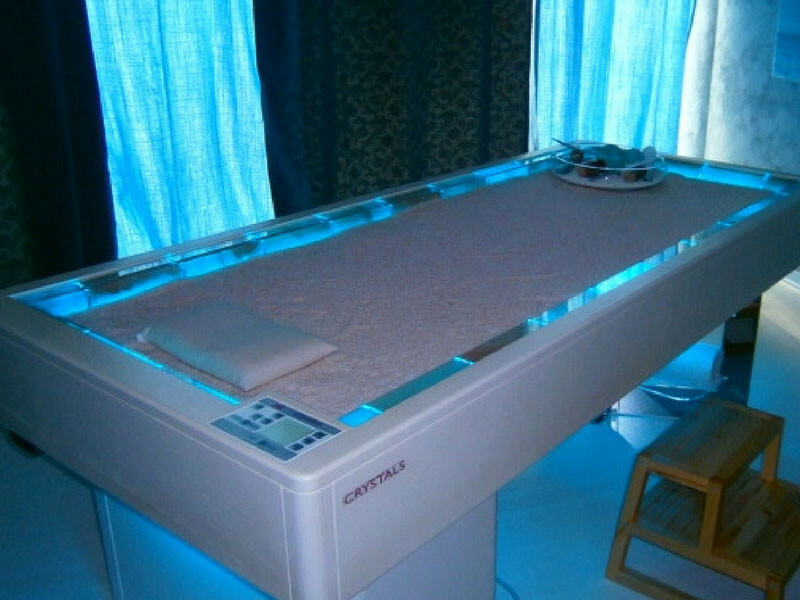 The boosted chromotherapy lighting, uniformly distributed around the entire perimeter of the bed, completely envelopes the user. 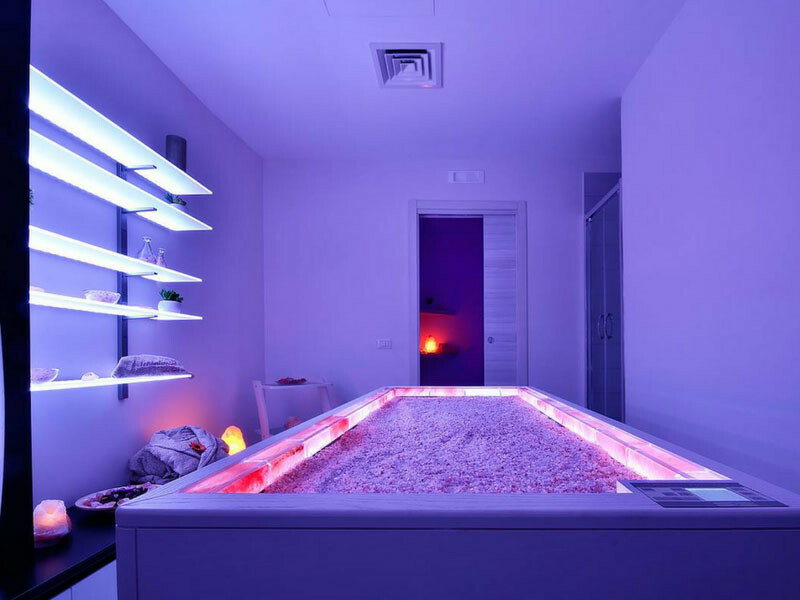 A lighting completes the harmony of the environment where the bed is located in, creating points of light from under Crystals to the floor. 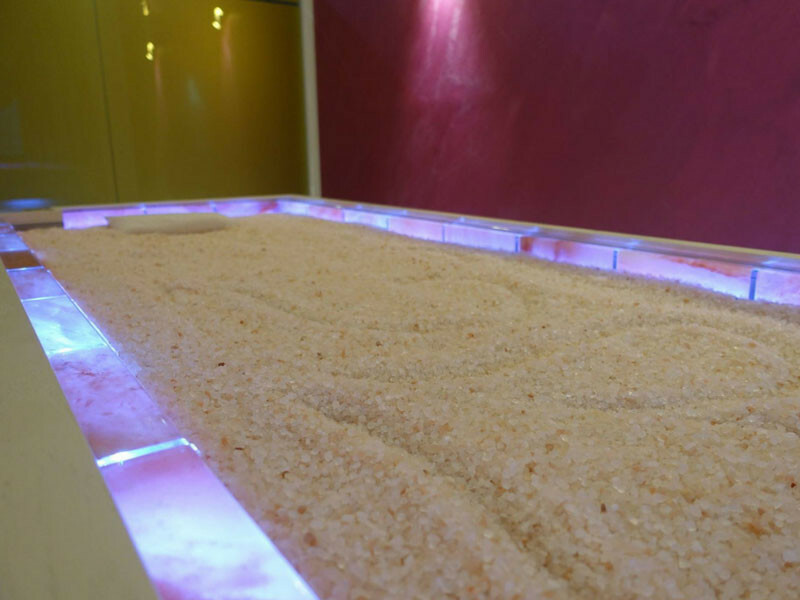 The bricks of crystalline salt neutralize the electromagnetic frequencies present in the environment and the air acquires a positive charge with beneficial effects against nervous tension, insomnia, concentration difficulties and free radicals. 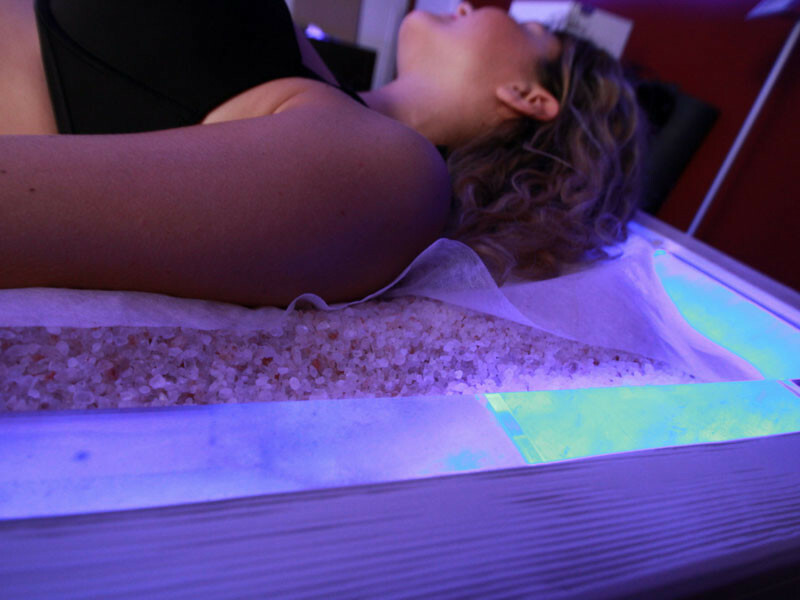 The temperature reached by the heating membrane creates a dry environment inside massage bed Crystals that prevents the formation of moulds and bacteria, maintaining constant sanitation. 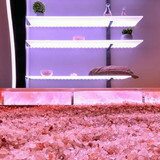 Crystals can be fitted with a height adjustment system. 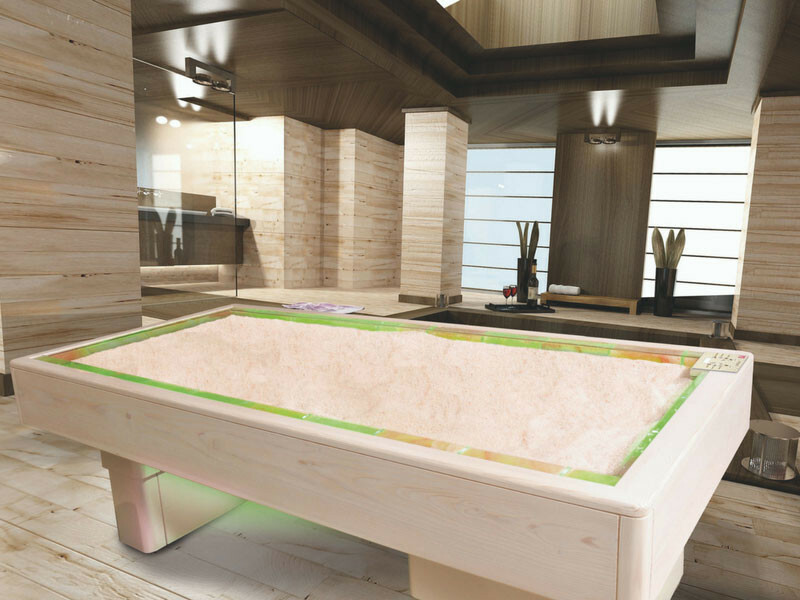 Easy to position inside any beauty cabin, it can be used in conjunction with the LUXo tanning unit; fixed to the ceiling it can be used whenever the final user also wants a natural, safe ISO Italia Group tan. 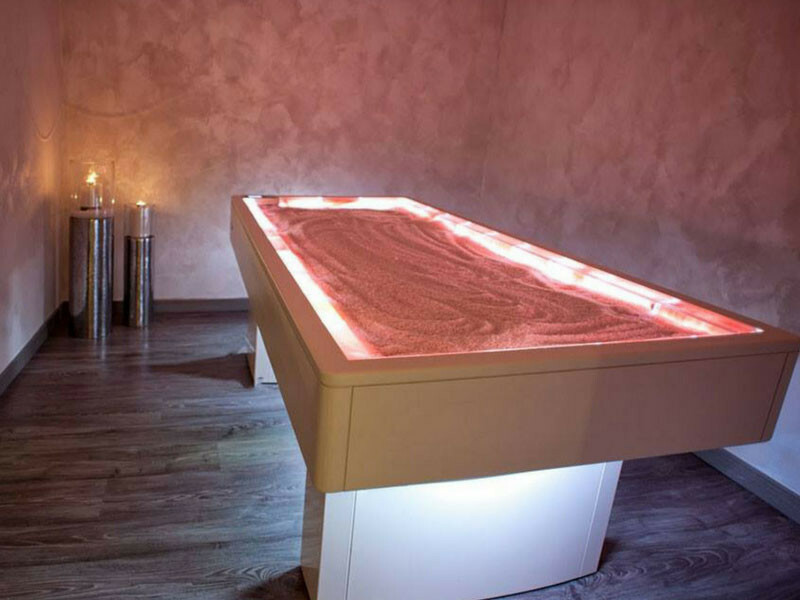 Massage bed with Himalayan salt Crystals. 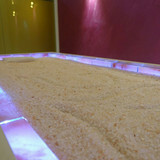 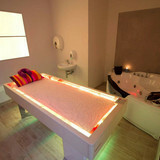 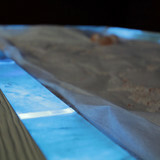 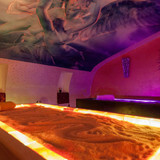 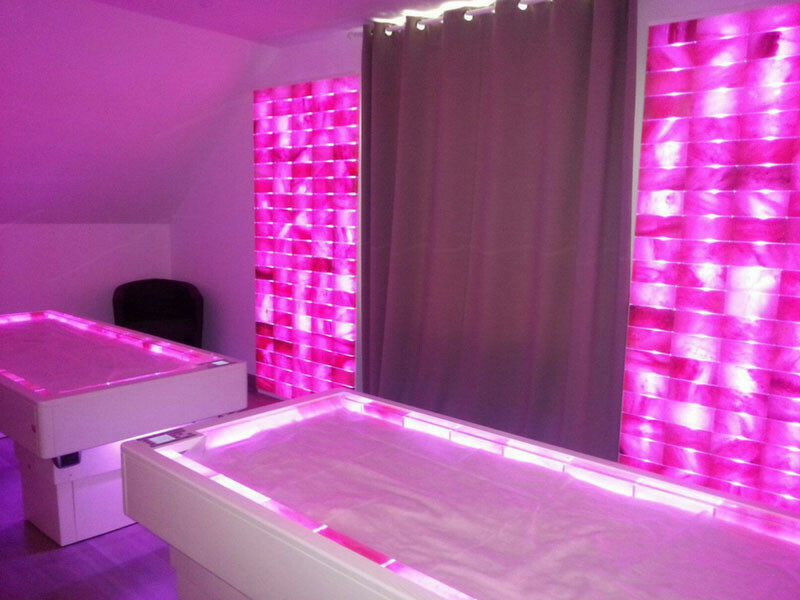 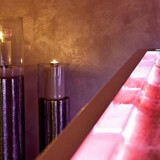 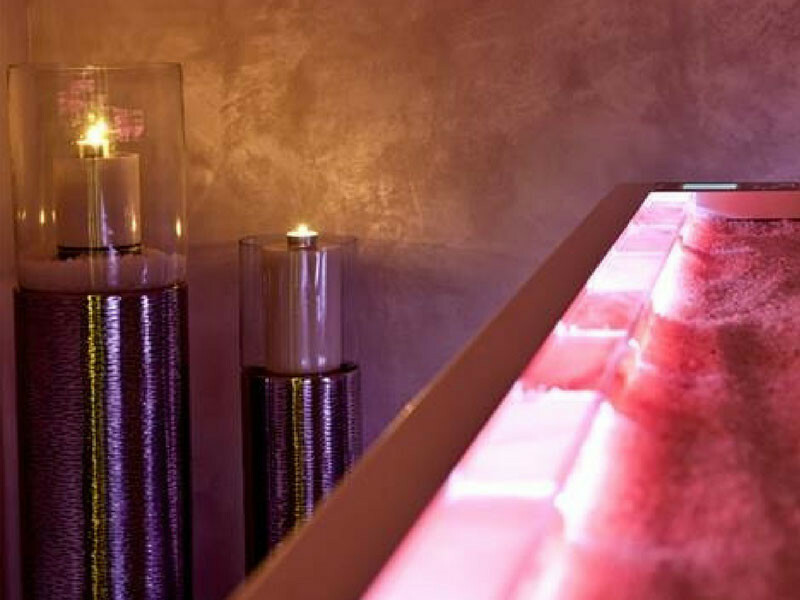 Halotherpy benefits and relax during treatments, lying on natural crystals of Himalayan Salt, enhanced by chromotherapy.